Borderline personality disorder can be tough to spot if you know a person only socially. It's estimated that 6% of the population has this disorder. Most of these people date, marry, and have children, so it's not an uncommon experience to commit to someone in a relationship, only to discover that suddenly the person flies into a terrible emotional upset, angry or crying hysterically when the partner has no idea what upset the person, or knows, but it's something most people would never get so upset over. Partners or spouses find themselves loved one minute and demonized the next. With BPD, tumultuous, up-and-down relationships and difficulty holding a relationship together become an unsettling new normal as partners settle down and become more familiar with one another. Sadly, this happened almost as soon as Prince Charles proposed to Lady Diana Spencer in 1981, and it became worse as the marriage went on. Having been raised by someone with the illness, I can’t tell you how many times my mother could hold it together in order to appear sweet, charming, lively, and adorable in public, only to abuse me in private. I remember feeling desperate as a child, because I knew if I told, no one would ever believe me. Prince Charles had too much class to ever expose the rages, crying, and fights in the royal household in an interview, but even if he had wanted to, he probably recognized that if he told the truth, people would think he was lying. The kind of intense suffering and acting out he would have described simply did not tally with our images of the kind, beautiful Princess Diana who graced public events and the newspapers every day, always ready with a smile, a hug, or a joke. 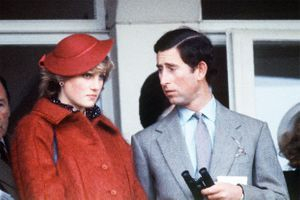 Eventually, however, all the facts of what happened made their way into newspapers and books, and it became clear that Princess Diana met many criteria for a BPD diagnosis. But, at the same time, borderlines have only a hazy sense of who they really are as a person, and they have a deep sense of self-loathing and shame. Each sufferer has a long history of never feeling good enough. They enter a relationship expecting to be slighted—as Diana certainly was when she became aware her fiancé was having a tough time saying goodbye to his longtime love, Camilla Parker Bowles. This is the difference between Diana and a person without BPD. Her well-publicized bulimia was a symptom of the BPD, not Diana’s whole problem. Diana believed , when she acted out in response to whatever had made her upset, that anyone would react this way. But, the reality is that to live with someone who breaks down in uncontrollable tears and suffering, when you have no idea what you did to upset the person, or when you are just trying to leave to go to your job or to some outing you’ve had planned for months, is highly distressing and upsetting. This was daily life in the Wales household. Sadly, little was known about BPD in the early eighties. In the early 1980’s, pockets of knowledge about BPD existed, where expert therapists could make slow but excellent progress with a patient who was dedicated and had good family support. Rachel Reiland is one example of a BPD patient who made a full recovery in the 1980’s. But therapist Marsha Linehan had yet to write her seminal book on BPD, and her definitive treatment for the illness, dialectical behavior therapy, had yet to be invented. The explosion of good books about the disorder that reached the public in the 1990’s and 2000’s hadn’t happened yet. As it was, Diana’s outbursts and mood swings made the marriage impossible. This is only one of many distortions Diana put out about the Prince over the years. Having little sense of self, image becomes everything, and Diana's attention to how she came across in the papers is legendary. She used to scrutinize the photos of herself in the papers every day, and then call up the journalists she trusted to try to put a positive spin on any story that showed her in a bad light. It's very common for a relationship to devolve in this way when BPD is a factor. In the 2010's, information about the disorder is more widely disseminated and easier to find, but finding the right therapist is still difficult, and in the States, at least, expensive to pay for. If your relationship is starting to sound like Charles and Diana's, BPD Central is an excellent place to visit, full of practical, easy-to-understand for BPD sufferers and their families alike.